In the early years of the USSR, socialist festivals - events entailing enormous expense and the deployment of thousands of people - were inaugurated by the Bolsheviks. Avant-garde canvases decorated the streets, workers marched and elaborate mass spectacles were staged. Why, with a civil war raging and an economy in ruins, did the regime sponsor such spectacles? 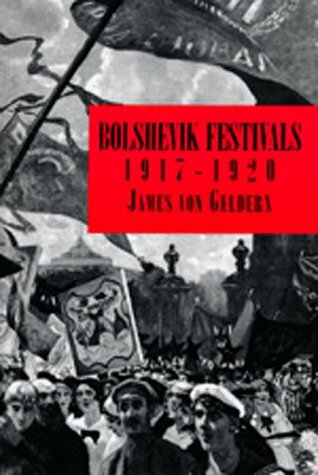 In this investigation of the manner in which these festivals helped to build a new political culture, James von Geldern examines the mass spectacles that captured the Bolsheviks' historical vision. Spectacle directors borrowed from a tradition that included tsarist pomp, avant-garde theatre and popular celebrations. They transformed the ideology of revolution, the author claims, into a mythologized sequence of events that provided new foundations for the Bolsheviks' claim to power. James von Geldern is Assistant Professor in the Department of German and Russian at Macalester College.